Swanny River, originally uploaded by jamesmb. I don’t really do filters and playing around with photos. I do dabble in a bit of cropping and maybe a bit of brightening but, other than that, I tend to leave well alone. 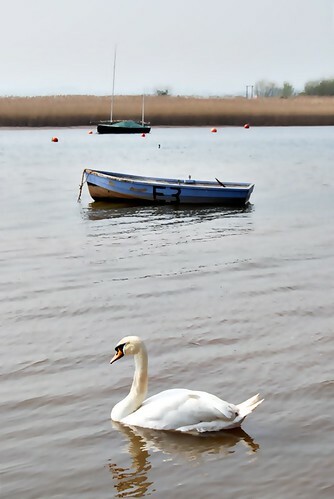 Anyway, I took this on the River Exe by Topsham and had a play around with some filters and things that, to be honest, I don’t really understand. This was the result – which I kinda like! 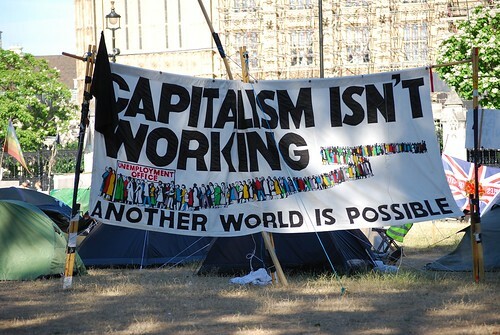 Capitalism isn’t working, originally uploaded by jamesmb. 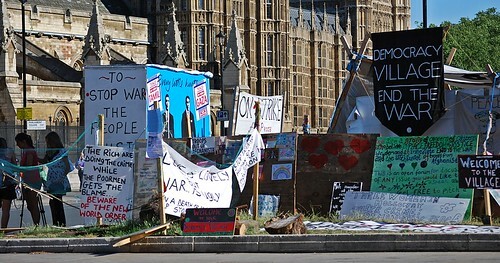 The end of the Peace Camp on Parliament Square, originally uploaded by jamesmb. I went to London recently and had a chat with Brian Haw – his picture is elsewhere on my photostream. To be honest, it was a mess and badly kept and, if it was meant to be making a point, it wasn’t doing it very well. Summer in the city, originally uploaded by jamesmb. 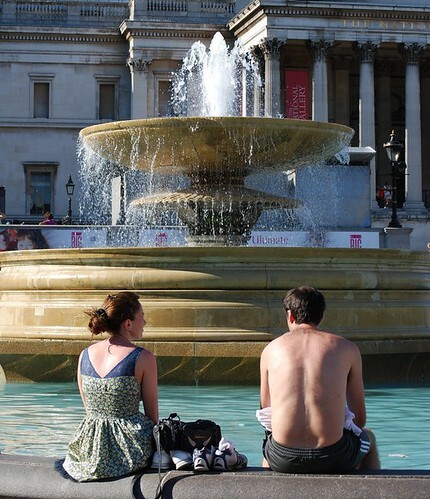 This picture was taken outside the National Gallery in London. Perhaps one of the better ways to cool down on a hot summer day!